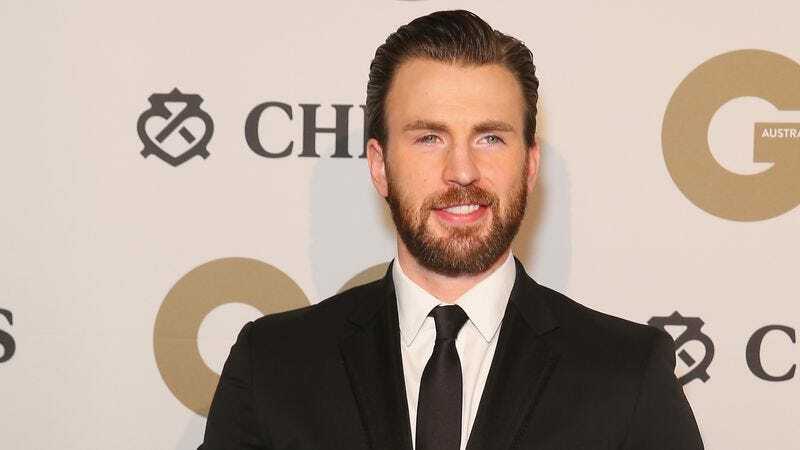 Chris Evans might not be the biggest name in Hollywood (FYI, he’s the “Captain America” Chris of The Avengers, not the “Thor” Chris—you’re welcome), but he’s acquiring quite the reputation as a safe bet for casting directors. For the second year running, the 35-year-old handsome person has topped Forbes’ list of Best Actors For The Buck, helping to bring in a whopping $135.80 for every $1 he was paid for his last three films. Granted, a lot of this is a function of being a top player in Marvel’s cinematic juggernaut franchise, while demanding a relatively modest paycheck—for Avengers: Age Of Ultron, he brought home around $7 million compared to Robert Downey, Jr.’s $40 million. Still, it’s a distinction that’s likely to pay heavy dividends in the future. Evans just narrowly edged out another fellow MCU Chris, Chris Pratt, who helped earn $125.40 for every $1 that went into his bank account these past few years for films like Jurassic World and Guardians Of The Galaxy. Scarlett Johansson was third, with $88.60 per $1 paid. Mila Kunis and Vin Diesel finish off the top five, with $49.50 and $32 per $1, respectively. Despite his massive salaries, Robert Downey, Jr. still made number eight on Forbes’ list, with $18.40 per dollar. Considering how many dollars he commands, that’s impressive. So, weep not for poor little rich boy RDJ. Instead, save your tears for Johnny Depp, who for the second year in a row, sits atop Forbes’ list of Most Overpaid Actors, with $2.80 returned for every $1 paid to him on his last three films. Remember though, Mortdecai was one of those films. So, you know.